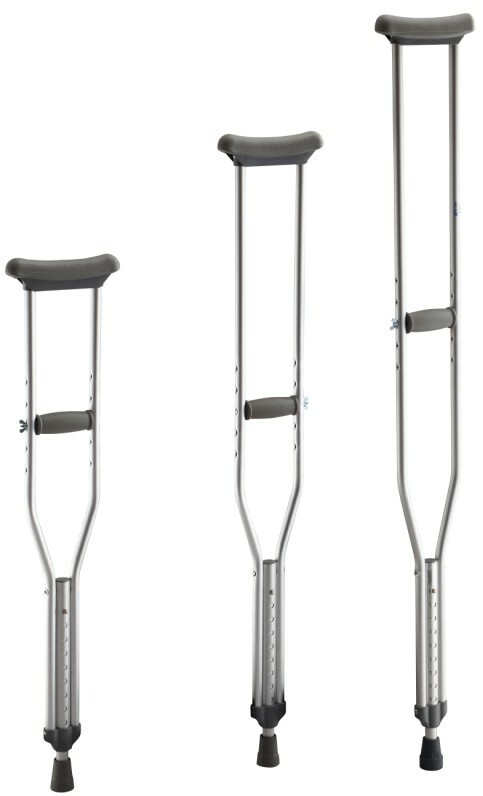 • Lighter than wood, the standard aluminum crutch provides stability and durability. • Double extruded center tube provides additional strength to weight-bearing area. • Push-pin adjustment makes it easy to adjust crutch height in 1" increments. • Non-skid, jumbo size vinyl contoured tips provide excellent traction. • Easy wing nut adjustments for hand grips. • Comfortable, durable accessories are latex free. • 136kg Weight Capacity on aluminum crutch (excluding pediatric).